Doraemon's favorite food known as Dorayaki is not a fictional snack. It actually exists. 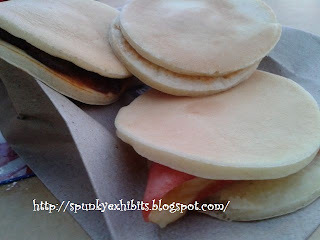 For those of us who do not know about Dorayaki - it's red bean sandwiched between pancake like stuff. And of course it is Japanese. Well, we found one outlet here at Northam Beach Cafe in Penang who makes Dorayaki. The good thing about this is for those who do not like red beans can order the other types. They have both sweet and savory flavors.